Through a funding agreement between McGill and the Quebec Government announced at McGill on Wednesday May 23, 2018, Dialogue McGill will support two community-based projects, one led by Youth Employment Services (YES) and the other by Townshippers’ Association of Estrie. The Institute for Health and Social Policy will also conduct two research projects aimed at furthering knowledge on factors that affect the retention of young English-speaking Quebecers and at breaking the barriers to employability for young English-speaking graduates in Quebec. The first sponsorship project will be implemented by YES. A series of concrete actions, including job search workshops, mentoring, and internships with linguistic facilitation, will be offered to English-speaking students and recent graduates directly by YES. The second sponsorship project will be conducted by the Townshippers’ Association of Estrie in conjunction with the CIUSSS de l’Estrie-CHUS and the educational institutions of Estrie. It is a French immersion program designed to ensure that recent English-speaking graduates from health and social services programs will have the language skills required to ensure employability in the public health care system in Quebec. The third project is a research project on linguistic profiles for health professionals. Through the development and testing of linguistic profiles for nurses, institutions in Quebec will be equipped with a description of the language competencies required to provide an adequate level of service in English and the testing instruments to measure the required competency level. The fourth project, entitled “Study on Motivation of English-Speaking Youth to Stay in Quebec,” will expand a survey done by John Abbott College in 2017-2018 to all English-language CEGEPs in Quebec. To be carried out over a two-year period, the study is designed to expand our knowledge about the percentage of English-speaking youth who intend to stay in Quebec post-graduation and those who intend to leave the province. It will identify the factors influencing the students’ decisions. It will produce comparative data between English-speaking students and French-speaking students, between different programs, and between the regions of Quebec. 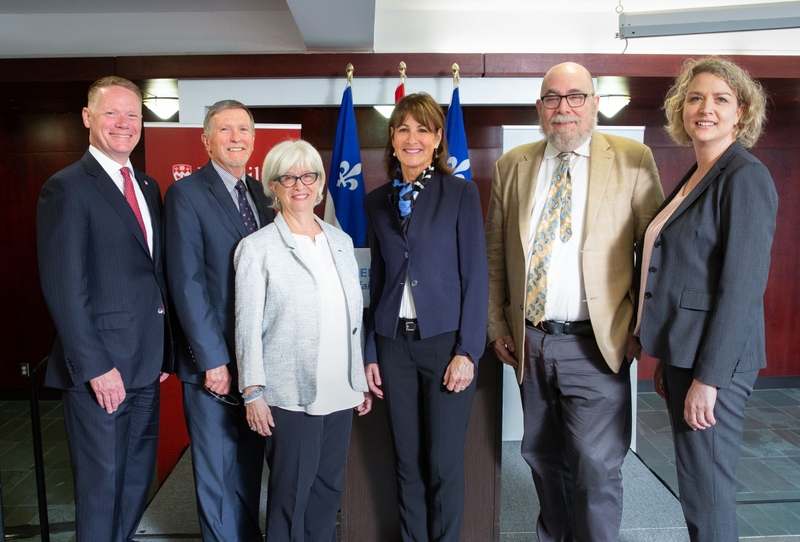 Dialogue McGill enthusiastically welcomes this agreement with the Secretariat for Relations with English-speaking Quebecers: it represents a joint effort and a smart use of expertise with the goal of ensuring better access to health and social services for English-speaking Quebecers.